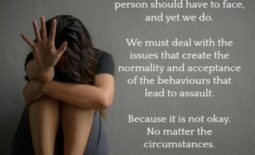 I first saw these words on the wall at an AA meeting that my friend had invited me to attend with her. The group would recite these words at the end of every meeting (which met a few times a week). I recited them too and came to memorize them without really paying much attention to the meaning behind the poem/prayer. Much like the nursery rhymes of our childhood that we know by heart, but had no clue what the story behind the rhymes and rhythms were until much later, I just said the words at the appropriate time at the end of the meetings. Then, much later (or at least a few years), I read the book “7 Habits of Highly Effective People” by Stephen Covey, and the first habit, according to Covey is to Be Proactive. What does it mean to be Proactive? Well, one of the key components to being proactive is in recognizing that there are some things over which we have the power to influence or control and there are a lot of things over which we have no power whatsoever to influence or control. 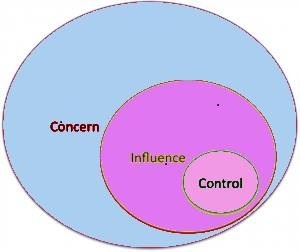 Covey spent a lot of time talking about the Circle of Concern, the Circle of Influence, and then, in later books he also includes the Circle of Control. He drew these three Circles like bubbles with one bubble inside another, and a smaller bubble inside those. He explained, essentially, the lesson he was giving in those circles was that there were somethings that we might care about, but have no power to influence or control. Focusing our time, energy, and attention into those things that we have no power to influence or control is nothing more than a waste of that time, energy and attention, and results in being “less effective.” Highly effective people (for which his book is named) have a habit of focusing their time, attention, and energy into the projects and activities that they have some ability to do something about– which his part of being proactive, and part of what makes them effective. 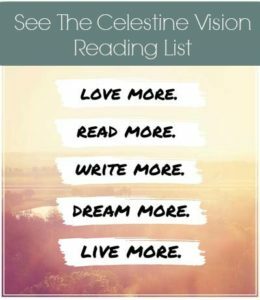 And as I read and understood this lesson, I recognized that it was the same lesson as the Serenity Prayer that I’d recited but never really taken to heart until then. 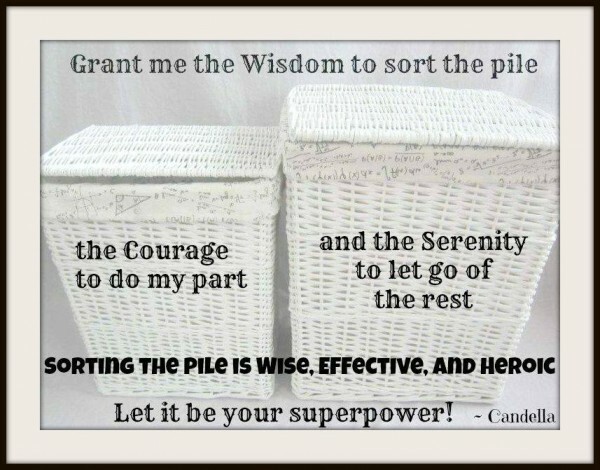 Covey didn’t connect the dots (or at least not explicitly in the books I’ve read by Covey), but I recognize that the first habit of highly effective people, is that they “Sort the pile.” Just like we might sort the laundry into the darks and the light colored clothes, Highly Effective People begin with sorting their troubles and problems into the pile of “I can do something about this” and the pile of “I don’t have any control over this.” The 1st Habit of Highly Effective People is having “the wisdom to know the difference” between whether I can change something or not. If we look at the Serenity Prayer (in backwards order), it has the same great lesson to teach us.